This is hot off the Nursing blog! Have you ever wondered who has cited your work? Barbara Quintiliano, Nursing liaison librarian, tells you how to find out who is citing articles you’ve written. Visit Barbara’s blog to get tips on Science Citation Index Expanded, Scopus, and Google Scholar. The Digital Library has uploaded new performances by Gerald Trimble from the 1989 Philadelphia Ceili Group festival, circa 1989. Get those headphones ready! On this day in 1889, the first jukebox made its first… juke? Back then, though, they weren’t called jukeboxes. They were simply coin-operated music boxes or player pianos. 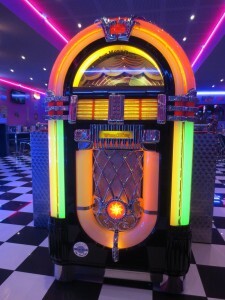 It wasn’t until 1940 that they were branded jukeboxes. FYI, the word “juke” is derived from a Gullah word meaning disorderly and rowdy.